31 A life? Cool! Where can I download one of those? 33 I think like a proton and stay positive. 34 Nerd is not just a 4 letter word. It's a future 6-digit salary. 35 Dear cool people; they didn't name a candy after you did they? Sincerely nerds. 36 Nerd? I prefer the term more intelligent than you. 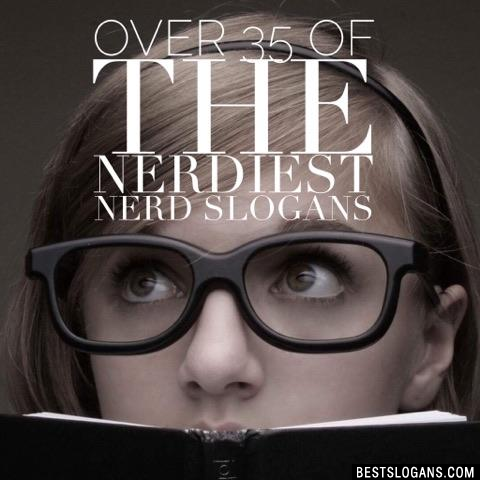 Can you think of a good Nerdy Slogans we're missing? Or come up with a clever one of your own. Please share below.